Oct. 19, 2018, 3:50 p.m. So the big one is coming. One of the great international cricket rivalries resumes when England arrive in the West Indies on 11th of January 2019, to start the biggest International Home Series between the two teams since 2009. Three Test matches, five ODIs and three T20Is, will be played in five of the region’s top tourist destinations, with the tour starting in Barbados and ending in St. Kitts. England fans, we know you'll be coming in your thousands, and we can't wait to host you in our wonderful islands. Tickets go on sale to the general public from the 1st November, 2018 through our exclusive ticket partner, Kyazoonga. 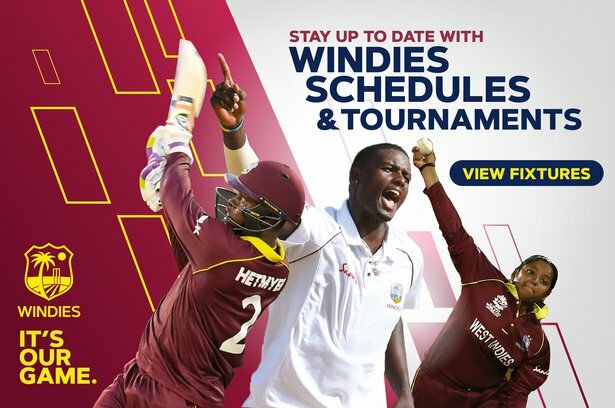 In advance of this, you can secure the best tickets in each venue, as well as flights and accommodation by booking an official tour package from a host of Official Windies Tour Operators. It's going to be peak season in the West Indies and our Official WINDIES Tour Operators are best placed to secure your tickets, flights and accommodation. Each Tour Operator delivers a different experience and between them, they've years of experience delivering high quality tours with added touches, and sometimes featuring former West Indies and England players. All of them are either ABTA or ATOL bonded and accredited (or both). International Cricket Tours have been offering high quality tour packages to any of England's tours since 2013, including several tours to the West Indies. They offer you a choice of every Test match, test match combinations, ODIs and T20Is, plus durations of stay to meet your requirements. Click on the link above or make your enquiries and reservations by calling +44 203 824 8444 or email reservations@ictours.co.uk. Gullivers Sports Travel have created Test Match packages for one, two or all three matches in January and February. They will also create bespoke packages tailored to your individual requirements for the ODI and T20 series with a variety of games, locations and potential length of stays available. Please do contact us if you would like us to create a travel package for you and we will get to work straight away. Click on the link above or call +44 1684 878190 to find out more. Whether you've travelled with the Barmy Army before, or are interested in joining up with the all-day-long songs, banter and cricketng revelry that follows England round the world, Barmy Travel has a range of Test and ODI packages for you. Click on the Barmy Travel link or call +44 203 907 2222 to find out more. Howzat Travel offers a range of hosted tours to accommodate every wallet, whether you're on a limited budget or want first-class luxury. Specialists in international cricket tour packages, you can contact them on email - info@howzattravel.co.uk - or call freephone within the UK on 0800 840 1110, or at standard rates +44(0)1664 820468. Living With The Lions Sports Travel have been offering tailored sports tours to venues all over the world since 2000. Their tours are designed so you can enjoy the cricket without worrying about any of the ticket and travel formalities. Click on the link or call +44 1386 808600 to find out more. Sports Tours Plus once again link up with the WINDIES as an official tour operator. A family-run company, they offer complete tailor-made tours for cricket fans. Visit SportsToursPlus.com or call +44 1638 717850. ST Sports, part of Southall Travel, are an Official WINDIES tour operator for the first time. They are offering a full range of packages across all of the matches, on a full tour or match-by-match basis. Call on +44 208 705 0150 or click here. Smile Travel are a new partner of Cricket West Indies. They are used to providing tours for both professional teams and specators, including the likes Essex and Northants as well working with the Lords' Taverners. Smile provide bespoke, tailored packages. Visit the Smile Travel website or call on 0844 332 0440 (for UK based customers). 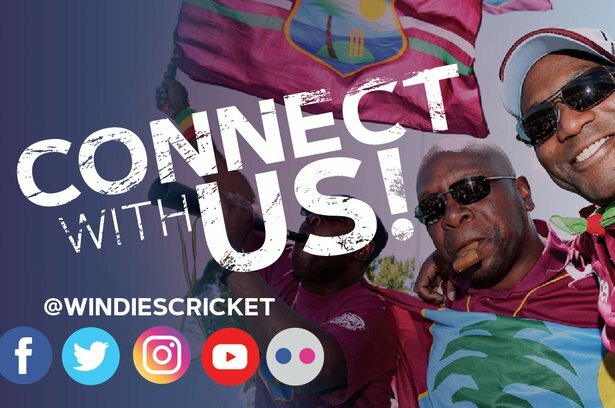 Whoever you chose to travel with, or if you're going to wait for the tickets to go on sale on the 1st November, we look forward to welcoming you to the West Indies.